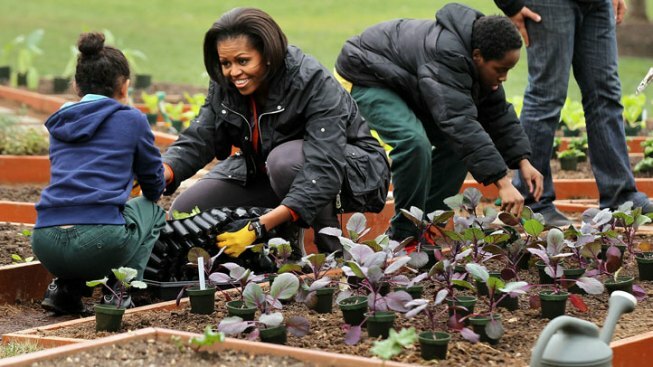 The White House is giving free garden tours, but Michelle will probably not be your tour guide. Windowboxes looking a little forlorn lately? Like the there's-an-old-wrinkled-candy-bar-wrapper-in-them-and-nothing-else forlorn? Great! Why don't you make yourself feel even worse with a stroll through the lush gardens and greenery at 1600 Pennsylvania Ave. N.W.? The White House will offer its annual spring garden tours this weekend, Saturday and Sunday, April 9 and 10. You'll be able to view the Jacqueline Kennedy Garden, the Rose Garden and the South Lawn of the White House, and take a peek at the Kitchen Garden. Although the tours are free and open to the public, tickets are required and will be distributed on a first-come, first-served basis starting at 8 a.m. each day. Hours on Saturday are 9 a.m. to 4 p.m.; Sunday 9 a.m. to 3 p.m. The garden tours don't include access inside the White House, so don't get your hopes up about giving Bo Obama a belly rub anytime soon.